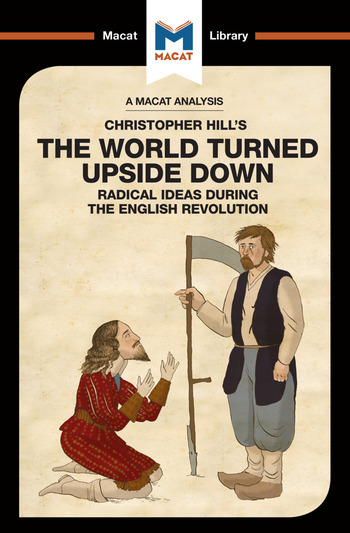 Few works of history have succeeded so completely in forcing their readers to take a fresh look at the evidence as Christopher Hill's The World Turned Upside Down – and that achievement is rooted firmly in Hill's exceptional problem-solving skills. Traditional interpretations of the English Civil War concentrated heavily on a top-down analysis of the doings of king and parliament. Hill looked at ‘history from below,’ focusing instead on the ways in which the people of Britain saw the society they lived in and nurtured hopes for a better future. Failing to understand these factors – and the impact they had on the origins and outcomes of the wars of the 1640s – means failing to understand the historical period. In this sense, Hill's influential work is a great example of the problem-solving skills of asking productive questions and generating alternative possibilities. It forced a generation of historians to re-evaluate the things they thought they knew about a key pivot point in British history – and went on to influence the generations that came after them. Dr Harman Bhogal holds a PhD in early Modern History from Birkbeck, London. Dr Liam Haydon holds a doctorate in English literature from Manchester University. He is currently a postdoctoral researcher at the University of Kent, where his work focuses on the cultural impacts of global trade in the early seventeenth century.